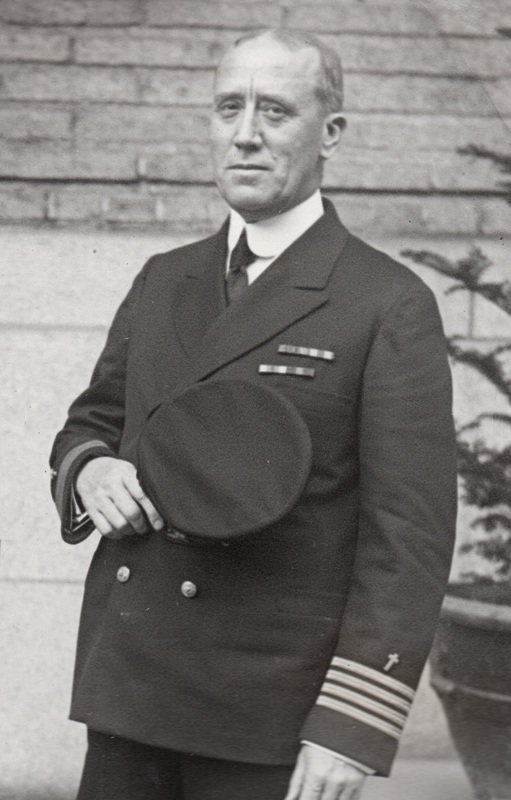 Navy Chaplain, Captain John B. Frazier, 11 Nov 21, Navy Chief of Chaplains 1917-1921. Captain John Brown Frazier, a Southern Methodist minister, was appointed as head of the Chaplain Corps on November 5, 1917. As early as 1871, chaplains had advocated for one of their number to represent their interests in Washington. With the coming of World War I, the appointment became a necessity due to the significant increase in the number of chaplains and the urgency preparation. The Office of Chief of Naval Chaplains officially created by law until December when the rank of Rear Admiral was attached to the position. Within the Chaplain Corps, the title “Chief of Chaplains” was universally used before this date. When the United States declared war on Germany on April 6, 1917, there were only 40 chaplains on active duty in the Navy. By the time of the signing of the Armistice on Novemnber 11, 1918, 200 chaplains were serving. Three decades later, during World War II, over 2,800 men wore the uniform of the Navy chaplain. Rear Admiral Robert D. Workman, Chief of Chaplains during World War II (and the first to be made Rear Admiral while still on active duty), paid tribute to Chaplain Frazier during burial services for him on November 11, 1939, at Arlington Cemetery. Text from an Arlington National Cemetery website (not official).